Product prices and availability are accurate as of 2019-04-19 04:01:36 UTC and are subject to change. Any price and availability information displayed on http://www.amazon.com/ at the time of purchase will apply to the purchase of this product. The Handbook of Intellectual Disability and Clinical Psychology Practice will equip clinical psychologists in training with the skills necessary to complete a clinical placement in the field of intellectual disability. Building on the success of the previous edition this handbook has been extensively revised. Throughout, the text, references, and website addresses and have been updated to reflect important developments since the publication the first edition. 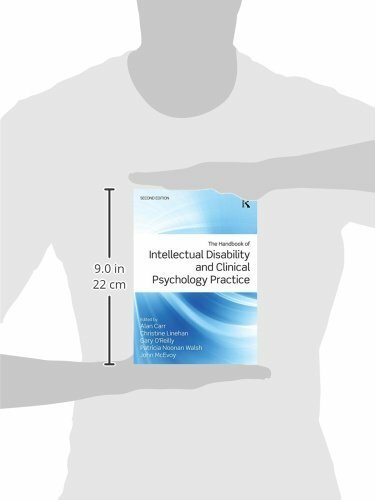 Recent research findings on the epidemiology, aetiology, course, outcome, assessment and treatment of all psychological problems considered in the book have been incorporated into the text. Account has been taken of changes in the diagnosis and classification of intellectual disability and psychological problems reflected in the AAIDD-11 and the DSM-5. New chapters on the assessment of adaptive behaviour and support needs, person-centred active support, and the assessment of dementia in people with intellectual disability have been added. Section 1: Covers general conceptual frameworks for practice - diagnosis, classification, epidemiology and lifespan development. Section 2: Focuses on assessment of intelligence, adaptive behaviour, support needs, quality of life, and the processes of interviewing and report writing. Section 3: Covers intervention frameworks, specifically active support, applied behavioural analysis and cognitive behaviour therapy. Section 4: Deals with supporting families of children with intellectual disability, genetic syndromes and autism spectrum disorders. Section 5: Covers issues associated with intellectual disability first evident or prevalent in middle childhood. Section 6: Deals with adolescent concerns including life skills training, relationships and sexuality. Section 7: Focuses on residential, vocational and family-related challenges of adulthood and aging. Section 8: Deals with professional issues and risk assessment. Chapters cover theoretical and empirical issues on the one hand and practice issues on the other. They close with summaries and suggestions for further reading for practitioners and families containing a member with an intellectual disability. Where appropriate, in many chapters, practice exercises to aid skills development have been included. 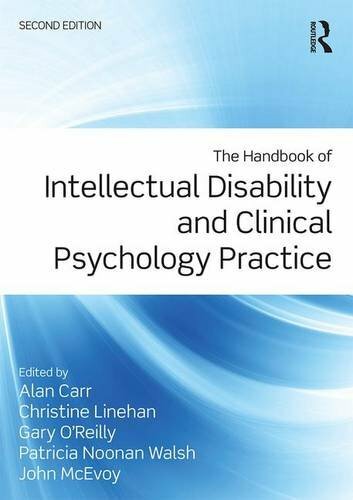 The second edition of the Handbook of Intellectual Disability and Clinical Psychology Practice is one of a set of three volumes which cover the lion’s share of the curriculum for clinical psychologists in training in the UK and Ireland. 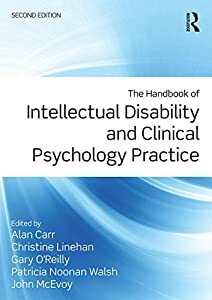 The other two volumes are the Handbook of Child and Adolescent Clinical Psychology, Third Edition (by Alan Carr) and the Handbook of Adult Clinical Psychology Practice, Second Edition (edited by Alan Carr & Muireann McNulty).